For 30 years of his life, St. Patrick brought hope to Ireland by establishing churches and monasteries across the country. The day of his death, March 17, 461 CE, has since been a day for the Irish to celebrate the saint for converting the pagans to Christianity: essentially driving the snakes (symbolic of evil) from Ireland. Over the centuries the celebration has spread to become a worldwide event. 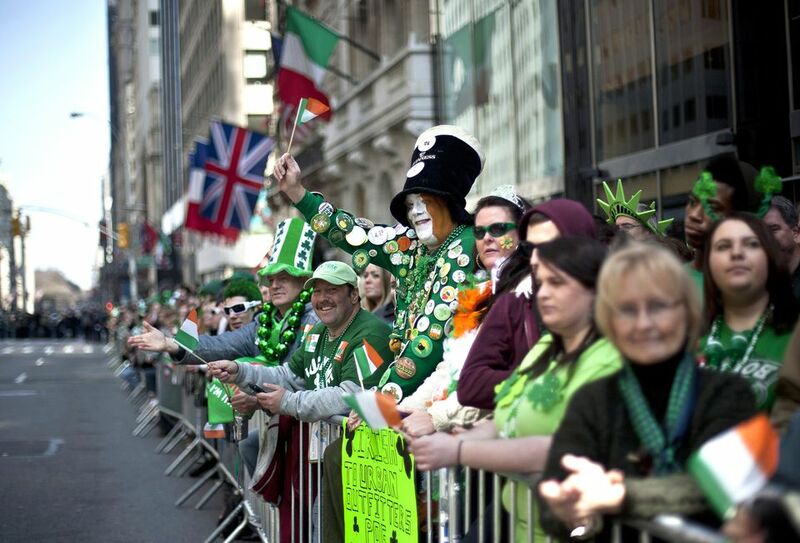 In America, where there are more people of Irish descent than in Ireland itself, St. Patrick's Day has become a cultural icon, and across the world, Irish and non-Irish alike join the party. You don't have to look far to find a crowd bearing all shades of green on St. Patrick's Day. Parades are one of the biggest events of the day, and almost any major city has one. Of course, Dublin is the place to be and has the biggest festival of them all. In the U.S. you'll find the best parades in Boston and New York. Visit Chicago and witness the Chicago River transformed from its usual murky green into the brightest, greenest river you've ever seen. www.st-patricks-day.com has one of the best parade and events directories on the web. There is no better place to spend the night of St. Patrick's Day than at an Irish Pub. You don't have to travel to the Emerald Isle for a great pub; they're everywhere. IrishAbroad.com alone lists over 800 pubs in Ireland, 1500 in the U.S. and 300 in Canada. In any of these pubs, you'll be able to grab a glass of Guinness and have your pick of great Irish whiskeys. Not to mention that most Irish Pubs book fantastic live music that night. It wouldn't be Saint Patrick's Day without a good drink, and the Irish have been so kind over the years to share their taste for alcohol. Irish whiskey is said to be the oldest whiskey in the world, and its fine traditions have not been lost to time. A sipper of Jameson, Bushmills, Tullamore Dew or any of the other Irish whiskeys will top the day off just right. Ireland’s other famous drink is, of course, Guinness. A beer like no other, this dry stout is a requirement for any Irish drinker. Liqueurs are not beyond the Irish either, and the shooter culture would not be the same without Irish cream, particularly Bailey’s. Drinking green beer has become more of an American tradition than anything else, one that the people of Ireland generally scoff at. The beer you choose does make a difference as the lighter colored beers will look greener, and for those as dark as Guinness, it's almost unnoticeable. In 2015, Guinness did release an "American lager," that is light as any domestic beer, so now it is possible to get a great green out of Guinness (of a sort). If you want to avoid green beer and straight Irish whiskey, there are plenty of cocktails perfect for the day. My favorite St. Patrick's Day cocktails include the Irish Martini and Everybody's Irish and each year new green cocktails are being concocted by creative bartenders. It can be said without a doubt that the Irish know how to party, but one aspect that stands out more than anything is the Irish toast. No celebration or gathering should end without at least one good round of limericks, rhymes and blessings being said. Years of drinking have led the friendly Irish to create some of the best toasts you can find, ones that make you think, then laugh out loud in agreement. Two phrases you're sure to come across are: Érin go Bráugh (Free Ireland) and Sláinte (Cheers).